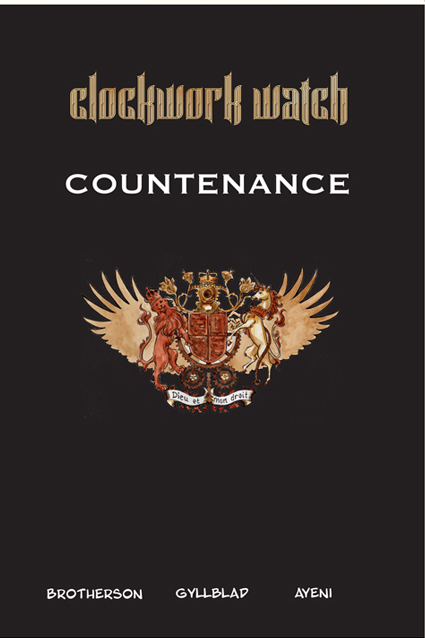 Countenance is the 6th and penultimate book in the Clockwork Watch Transmedia series. This book brings together the two story arcs, pitching Janav against Ervin in an explosive battle for the future of mankind. 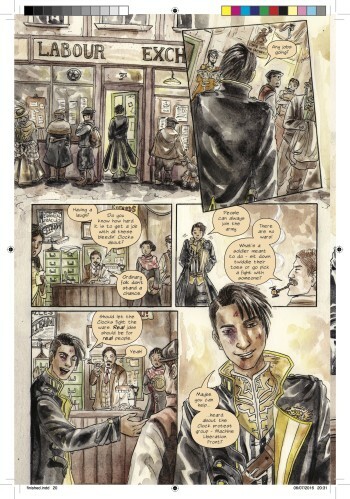 The Clockwork Watch narrative has been spread across several graphic novels, live events, freeform role-play, a newspaper, and a co-created story world, where participants have contributed their own respective stories on an online portal. Countenance also features the first few pages of Evolution – The Alchemist’s Story, the last book in this series, and includes the penultimate script, and comments between the creator and editor. Countenance is written by Yomi Ayeni, adapted and edited by Corey Brotherson. Art is by Jennie Gyllblad.